Many people dread the same question when visiting the dentist: “how often are you flossing your teeth?” While some patients are diligent about flossing daily, many more are not. Whether they think that brushing was sufficient, that they have never seemed to need it before, or just don’t add flossing into their daily routine, these patients are putting themselves at risk by not flossing. The leading cause of tooth loss, periodontal disease, also known as gum disease, can be slowed or even prevented by daily flossing. 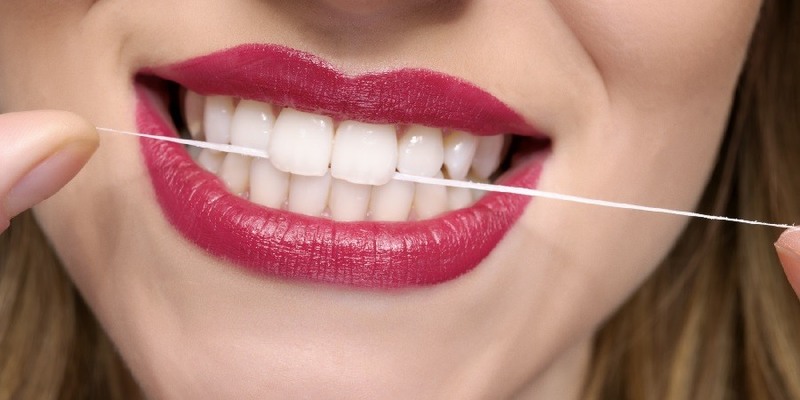 Flossing helps remove plaque build-up below the gum line, keeping the bad bacteria away from your teeth. Your dental hygienist will check for periodontal disease through the use of a perio chart. This is where the hygienist measures the space between your teeth and gums to ensure that you are not at risk of developing gum disease. The bacteria that live within the gums have quick access to the bloodstream. These bad bacteria can travel directly to your heart, putting you at an increased risk of heart disease. As flossing can help keep your gums healthy and the bacteria at bay, flossing can prevent this type of heart disease from becoming a problem. Just like heart disease, atherosclerosis can be caused by or even simply exacerbated by not flossing the gums. Atherosclerosis is the hardening of the arteries, which is the leading cause of a heart attack. Flossing can help keep bacteria out of your arteries rather than putting your health at a greater risk. A study by The National Center for Biotechnology Information showed that there can be a link between gum disease and diabetes. Severe gum disease can affect how your body perceives blood glucose levels. While it might not directly cause diabetes, it certainly can make it worse. Flossing your gums can keep them healthy. Halitosis, or bad breath, is unpleasant both for the person with the bad breath as well as the people around them. Bad breath is commonly caused by gum disease, as particles of food and bacteria are caught within the pockets around the teeth. As these particles decompose in your mouth, you will have bad breath. 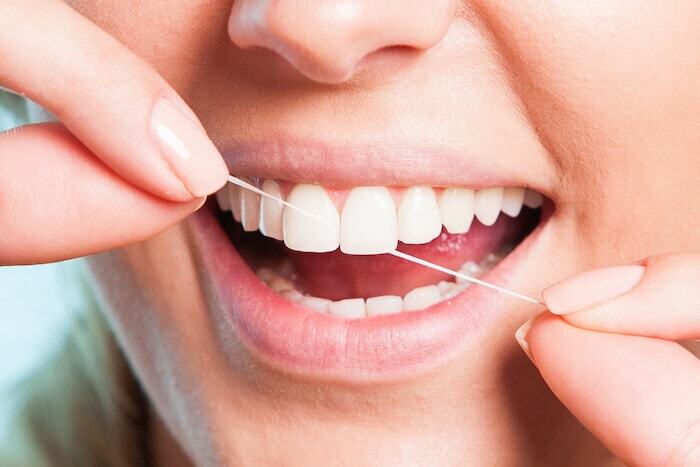 Flossing will remove both the particles and bacteria, ensuring that your breath has nothing to do with gum disease. Not flossing your teeth can lead to all of the above problems that we already went over as well as putting you at a bigger risk of developing cavities between your teeth. Between the health risks and the dental work that can result from cavities or tooth loss, you will save a lot of money in the long run by simply taking care of your teeth and gums now. Inflamed and diseased gums become noticeable to other people. In addition to the bad breath, gum disease can cause recession around your teeth, as your gum moves downward on your tooth. This is where you are likely to lose teeth. Between the gum disease and the tooth loss, not flossing can have a negative impact on your appearance. Proper flossing technique involves using the thickest floss that you can reasonably get between your teeth and going up and down along the gum line, in between the teeth. Make sure that you do not forget to floss the back molars especially. Since they are your chewing teeth, they are exposed to more food particles and have a bigger risk of becoming infected. Dental floss itself is inexpensive and flossing really only takes a couple of minutes out of your day. There is no good excuse not to floss, so save yourself the trouble and add it into your daily routine.